Shirts cannot be tweaked and tucked quite as fully or often as a jacket, unfortunately. There is no inlay in the side seams, and therefore it cannot be expanded except with the addition of a rather ugly extra panel. Still, more changes are possible than many people think. Shirt sleeves can of course be shortened – you just take off the cuff, cut down the sleeve and reattach (this can even be done from the shoulder if you want to retain the length of the placket). But sleeves with double cuffs can also be lengthened slightly. Depending on the make, there is at least half an inch of inlay in there, which can be sufficient to give you that crucial exposure of cuff at the end of a jacket’s sleeve. Darts can be put in the body of a shirt, to narrow it at the waist and – depending on the run – alter the hips and a little of the chest. Depending on the fineness of the make, these darts can also be removed or changed several times. Turnbull & Asser, I recently discovered, charges merely £15 for this, despite having to send each shirt to Gloucester to the original tailors and then fetch it back. As with many things, T&A is a big name but provides a tailor’s value. Turnbull & Asser also places its darts closer to the side seam than many makers, particularly the Italians. I prefer this, both because it makes them less conspicuous and because functionally they are closer to what you ideally want altered – the side seams. At T&A’s prices it is affordable to narrow a whole collection of shirts, and that is what I am in the process of doing, having lost weight over the past three months. Nothing like a close-fitting shirt to make sure the weight stays off. Andrew Courtney at the extremely convenient City branch of T&A is being extremely helpful in this regard. It is a wonderful thing having a tailor within walking distance. One word of warning, however: try any alterations on one shirt first, and be conservative with the change. Cotton doesn’t stretch like wool, and you can’t take your shirt off in the office; it must remain comfortable even in your most slouched sedentary position. I made this mistake the first time round and it has lengthened the process needlessly. You can follow the discussion on Get your shirts altered – Turnbull & Asser by entering your email address in the box below. You will then receive an email every time a new comment is added. These will also contain a link to a page where you can stop the alerts, and remove all of your related data from the site. Do they only provide alterations for shirts made by Turnbull & Asser? 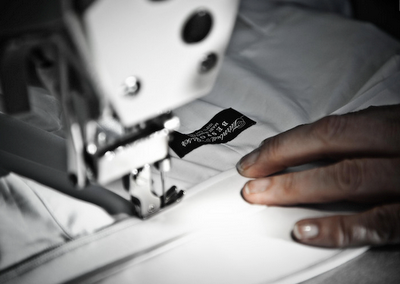 Excellent post as usual, it’s good to hear how cheaply quality alterations can be had for! One question – you have often remarked that a mid-priced off-the-peg suit can be taken to the next level with alterations by a tailor, for only £50-100 – are there any tailors you can particularly recommend for this? I always use Graham Browne for my suit alterations. They also do other people’s shirts. Any indication as to how much alterations cost? I have a couple of store bought suits which need a less blocky silhouette. Having shirts altered can be a hassle but I would not mind at all if the reason for me needing to do so is weight loss. And it’s great to hear that shirt alterations by T&A are affordable. You must be very confident that the weight is going to stay off to have all your shirts altered. I lost weight over the past three months too. Then I went on holiday for a week and put it all back on again. Unfortunately I had myself measured for a new suit the day before I went away.. had my first fitting the week I got back and discovered we needed an extra 3/4 inches in the waist! I just received a post that a former Sinclair protege was now selling bespoke and made to measure James Bond suits from a company called Conduit Cut. Any information about them? Suits seem very pricey! Putting darts in your shirts !? Only if you want to look like a camp shop assistant or maybe Cilla Black . I live in Sweden and is thinking about having some shirts tailored. I am thinking about Borrelli (that have two good agents in Stockholm) or Turnbull & Asser (I visit London quite often). How would you compare those two brands in style and quality? I have never had Borelli shirts, so cannot give a first-hand recommendation there, but the standard of the work will definitely be better with Borelli – hand-sewn buttonholes etc. The cut is more important, but as I said I can’t speak to the Borelli standard there. I have a couple ‘slim fit’ shirts that already came with darts, but I’d like to slim the body of the shirt even more. In your experience can tailors still do this, or is it better to buy a classic fit shirt and work from there? My friend introduced me to having my shirts altered a few years ago. It has really improved the overall look of my wardrobe. It is difficult however to keep that perfect fit around the holidays.